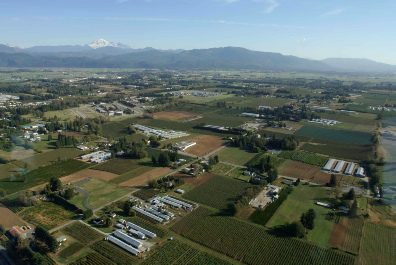 VICTORIA – The province kicked off the new year with a bang, announcing a nine-member panel to review and recommend steps for the revitalization of the province’s 45-year-old Agricultural Land Reserve. Committee members include Vicki Huntington, former independent MLA for South Delta; Byron Louis, chief of the Okanagan Indian Band; Lenore Newman, an associate professor at the University of the Fraser Valley; poultry farmer, real estate agent and Chilliwack city councillor Chris Kloot; Irmi Critcher, a Peace region grain farmer; Arzeena Hamir, president of the Mid Island Farmers Institute and a director of the Investment Agriculture Foundation of BC; former ALC planner Shaundehl Runka and retired ALC deputy CEO Brian Underhill. “The ALR and the ALC are incredibly important to the health and economic well-being of our province’s future, and making it easier and more efficient for the commission to fulfill its mandate of protecting farmland and encouraging farming is a commitment the BC government is delivering on,” said BC agriculture minister Lana Popham in announcing the review. The committee’s first order of business is writing a consultation paper that will be the basis for a public engagement process in February and March. Dyson expects the consultation paper to be available by the end of January. Responses to the report as well as comments received at community meetings will feed into the committee’s recommendations. Meetings will be held in Abbotsford, Cranbrook, Fort St. John, Kelowna, Kamloops, Nanaimo and Prince George. Preliminary comments from those on both sides of the reserve – those seeking stronger protections and those who see it as an obstacle to development – were muted. Bal Atwal, a principal in the Vancouver office of Avison Young, a commercial property brokerage, says the committee is in a tough spot. While most people want to protect land that’s in production, the other half of the reserve – the acreage that’s not being farmed – is what divides people. Whatever form revitalization takes, recent months indicate that exclusions aren’t becoming any easier. “I’ve heard some indications in the last few months that it’s even more difficult than it has been to get an ALR exclusion, particularly for residential development,” says Mike Harrison, a land sales specialist with Front Line Real Estate Services Ltd. in Surrey. Delta Council approved a land swap with MK Delta Lands Group that would have facilitated industrial development north of Burns Bog and added to protected area further south, for example. This would typically have facilitated approval by the land commission. However, the proposal is facing scrutiny by the commission’s executive council. Other proposals face similar assessment. Opposition MLAs, meanwhile, jumped on the fact that various sectors and regions have been left out. While two committee members have farms in the Peace region, ranchers and fruit growers aren’t represented on the committee. Popham was unavailable to comment on the choice of committee members but Dyson said they were chosen to listen to everyone rather than represent specific sectors or regions.